Over 40% of rideshare drivers reported they did not do any public transport-related pickups or dropoffs the last day they drove, according to a new SherpaShare analysis, suggesting that rideshare trips are not connecting to other forms of transportation as frequently as many city planners would prefer. Another 27% of drivers reported that fewer than 10% of their trips interfaced with public transport hubs the last day they drove. The data is also consistent with other transportation industry studies. For example a report released last year by UC-San Diego found that between 49 and 61 percent of ride hailing trips would not have been made at all, or would have been made by walking, biking, or transit. This indicates many rideshare trips are replacing other forms of transportation. The survey also suggested the number of ‘deadhead’ miles, or miles driven without passengers, may be on the rise. 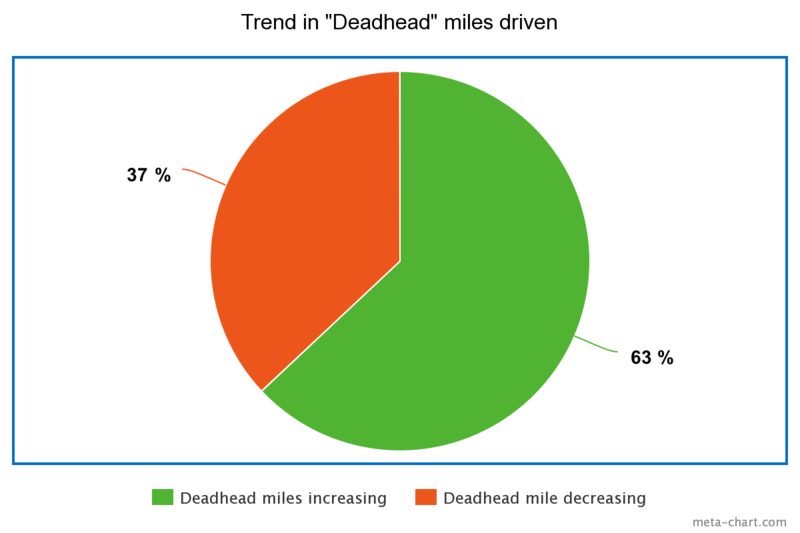 Of those drivers that noticed an upward or downward trend in deadhead miles, 63% reported the number of non passenger miles was increasing, while 37% reported dead head miles were decreasing. SherpaShare’s monthly research program provides insights on all aspects of the ridesharing industry via a panel of over 1500 rideshare drivers. Almost half of rideshare drivers’ time is spent without paying passengers in the car according to a recent SherpaShare analysis, suggesting that rideshare vehicles can be contributing substantially to overall congestion on city streets. Forty-nine (49%) of drivers reported their utilization rates were below 50%, meaning they had to pay passengers in their car less than half the time they were doing ridesharing. 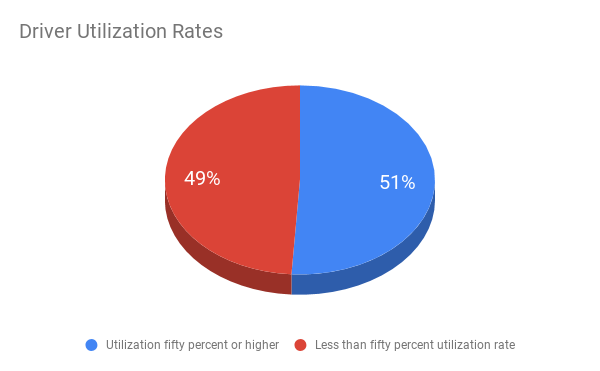 Utilization rates for new drivers (drivers who’ve been doing ridesharing for less than three months), are even worse; 53% of new drivers report a utilization rate of less than 50%. Drivers in the country’s top metro areas reported better than average utilization rates. For example, 55% of drivers in U.S. top 10 metro areas reported utilization rates of 50% or higher. SherpaShare’s most recent survey was conducted October 1-31. SherpaShare’s monthly research program provides insights on all aspects of the ridesharing industry via a panel of over 1500 rideshare drivers. Rideshare drivers want cities to take on a more active role in controlling new service offerings and setting minimum pay levels, according to a new survey from SherpaShare. Drivers supporting a minimum wage were particularly interested in protecting their revenue during time period when demand is low. “There should be a guaranteed wage to make up for time spent waiting [during slow periods]” said an upstate New York driver. Drivers also wanted cities to control the rollout of shared e-bikes and scooters. 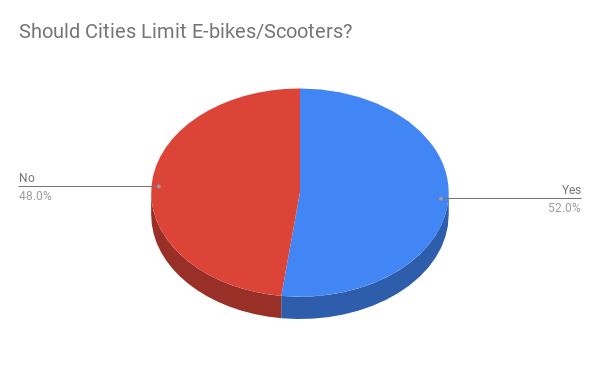 Fifty-two percent of drivers reported that cities should limit the number of e-bikes and scooters allowed on city streets. 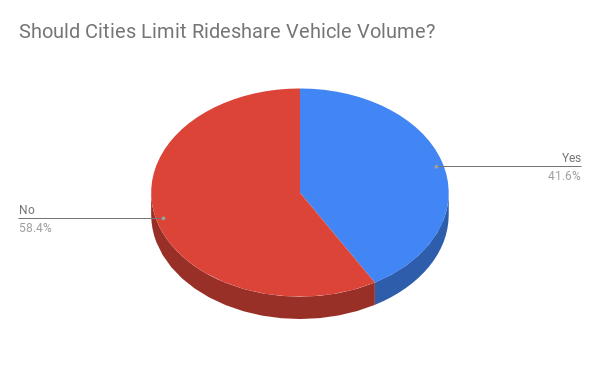 However the majority of drivers did not want cities to limit the number of new rideshare vehicles that are allowed to operate. Fifty-eight percent of drivers reported they did not want cities to limit rideshare vehicle volume. Drivers supporting city involvement expressed concern about too many drivers saturating the market. Drivers against additional regulation indicated that supply and demand should dictate vehicle volume. “The number of drivers should balance out on its own,” said a San Francisco Bay area driver. SherpaShare’s most recent survey was conducted September 1-30. SherpaShare’s monthly research program provides insights on all aspects of the ridesharing industry via a panel of over 1500 rideshare drivers. While recent industry studies have described drastic reductions in gig economy worker revenue, a SherpaShare analysis reveals rideshare driver earnings have remained relatively stable over the past three months. And drivers report reasonably strong interest in increasing their driving volume over the remainder of the year. 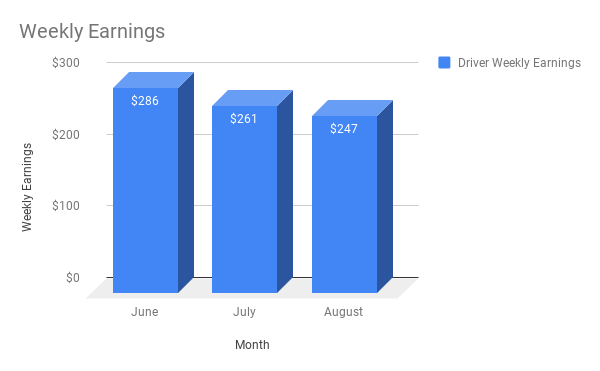 According to SherpaShare’s monthly survey of rideshare drivers, respondents estimated their average weekly earnings at $247 in August, down slightly from $261 in July and $286 in June. 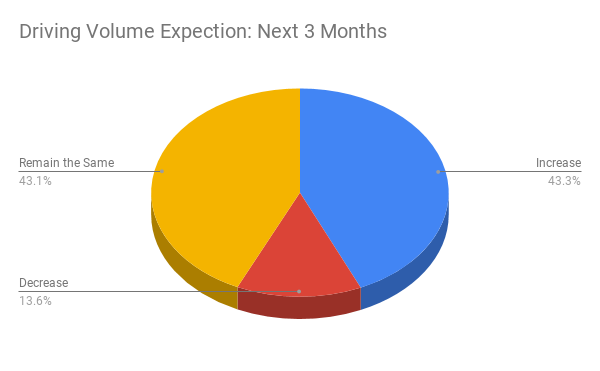 Drivers were asked if they expected their driving volume to increase, decrease, or remain the same over the next three months. Only 14% of drivers expected their volume to decrease over the next three months. The remainder expected it to increase or remain the same. Drivers were also asked how likely it was that they would still be doing ridesharing a year from now. 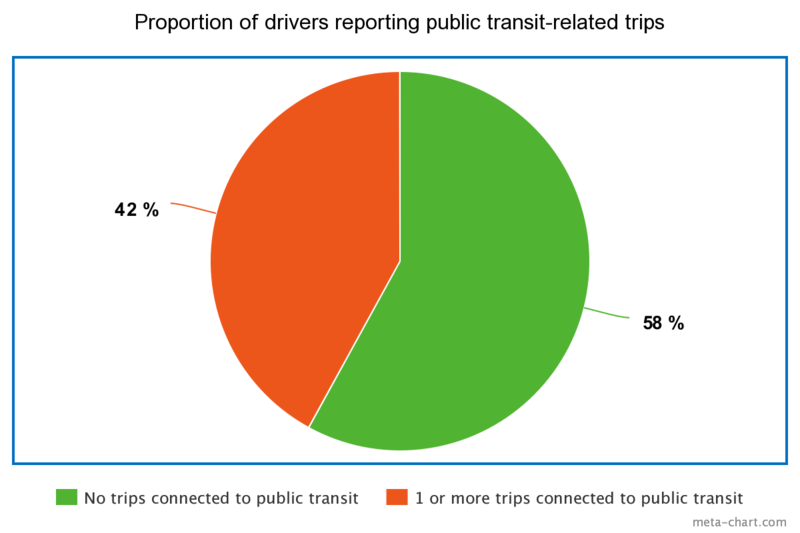 Well over half (54.5%) reported it was very likely or somewhat likely they would still be doing ridesharing in one year. SherpaShare’s most recent survey was conducted August 1-30. SherpaShare’s monthly research program provides insights on all aspects of the ridesharing industry via a panel of over 1500 rideshare drivers. 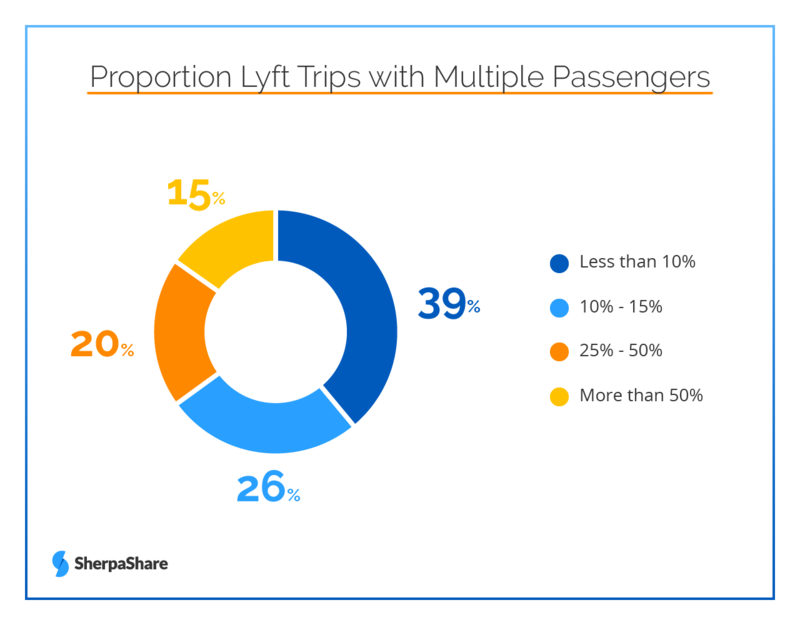 Multi-passenger rides represent a small but growing proportion of rideshare trips, according to a recent survey, a trend that could have a positive impact on congestion and other major urban issues. Almost a third of Uber drivers reported that multi-passenger rides represented less than 10% of their ride volume. Another 30% reported multi-passenger trips represented between 10% and 25% of their total trips. 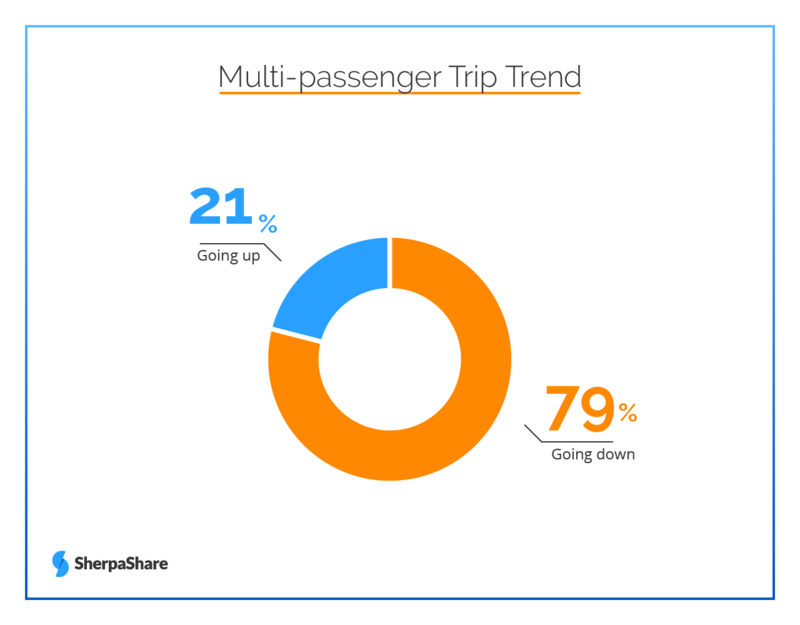 Of those drivers who detected a trend in their multi-passenger trip volume, 79% reported their proportion of multi-passenger trips was going up, while just 21% reported their multi-passenger trip volume was going down. Lyft drivers reported slightly lower multi-passenger ride rates than their Uber counterparts. Specifically, 39% percent of Lyft drivers reported they had multiple passengers on fewer than 10% of their trips. The comparable figure for Uber drivers was 32%. A recent study by transportation consultant Bruce Schaller found Uber and Lyft add 2.8 new miles driven in the nation’s largest cities for every one mile saved by passengers not using their own car. The study found that rideshare drivers spend substantial amounts of time driving between passenger pickups—extra miles that contribute to overall congestion. 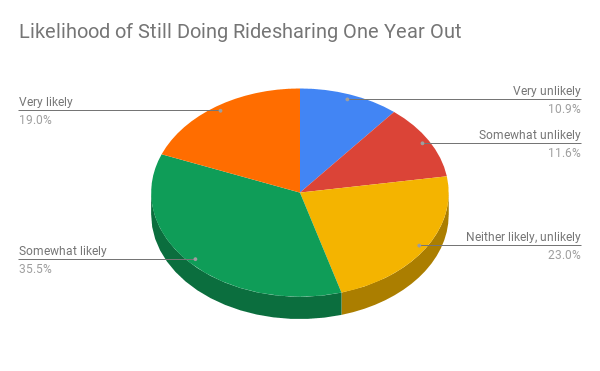 The survey was conducted August 31 among SherpaShare’s monthly research panel of over 1,300 rideshare drivers. Driving and picking up from airports can be very lucrative for rideshare drivers. But, you need to know how to navigate the airports to make great money and avoid traffic citations. Read on to discover the ultimate airport guide for Uber, Lyft, and rideshare drivers. Airports hate congestion. 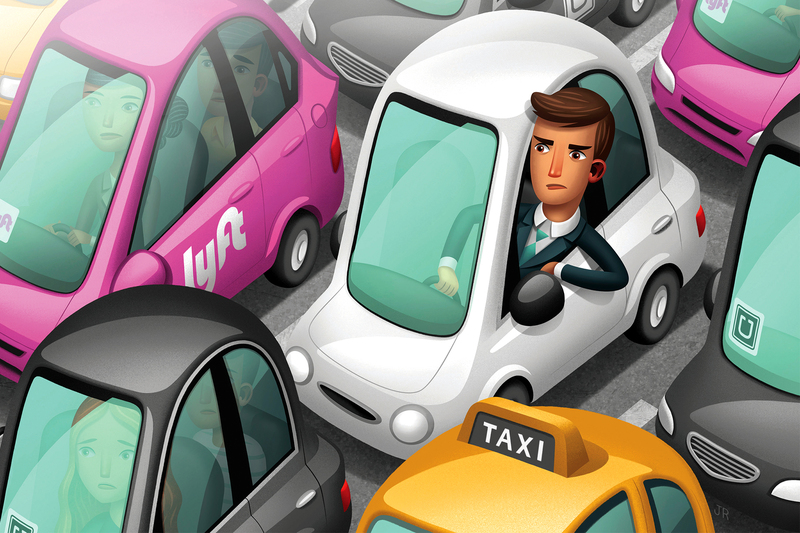 With all the cabs, taxis, Uber, Lyft, and other rideshare drivers, it can get pretty crowded. Because of this, some airports don't allow any rideshare drivers to pick up passengers at all. If airports catch rideshare drivers dropping passengers off in places they aren't supposed to, they can hand you a fine of up to $1,000. A recent SherpaShare survey found that some airports send traffic tickets directly to Uber, which Uber then deducts from the drivers pay! However, many airports have found a way to work around this problem. Every airport has different rules and regulations, and it's your responsibility to know these things. We've put together a general airport guide on how to successfully work as a rideshare driver in your local airport. Keep reading to learn everything you need to know about developing a strategy for rideshare driving at airports. First, check the Lyft and Uber website to find out if your local airport supports rideshare and what their rules and restrictions are. Familiarize yourself with the Designated Pickup Areas, as most major airports enforce designated pickup locations for rideshare. Before you accept your first ride, it’s smart to drive through the airport and locate where the pickup area is located and how to access it. If you miss the pickup point or drive through the incorrect area while your app is ‘on’ you risk getting a ticket and upsetting your passenger. Knowing before you go will always pay off! Additionally, some airports require you to get a permit before you can work there. Always display your airport permit sticker in the front windshield of your car. Most airports all require that drivers display their Uber or Lyft trade-dress sticker in a proper manner. Check your respective airports' rules and regulations to ensure you are adhering to the terms set by the airport and your rideshare platform. Most major airports have a geofence that surrounds it. When an Uber, Lyft, or other rideshare driver enters this geofence, they enter into the first-in-first-out (or FIFO) queue. A timer will keep track of your estimated wait time and how many cars are ahead of you on the list. The FIFO system only works within the designated, geofenced area and drivers waiting elsewhere will not receive trip requests through their rideshare platform’s app, so make sure you’re within the designated area to receive pings. You can view the timer whenever you want, even when you aren't driving at the airport. But keep in mind, some airports in smaller cities might not have this timer available. For cities that do use the FIFO queue, it can come in handy. If you're thinking of heading to the airport for the day, you can check the wait time before you go. Checking the wait time before you go is the best way to ensure you're not wasting valuable drive time and lets you find out what times during the day will give you the most business. 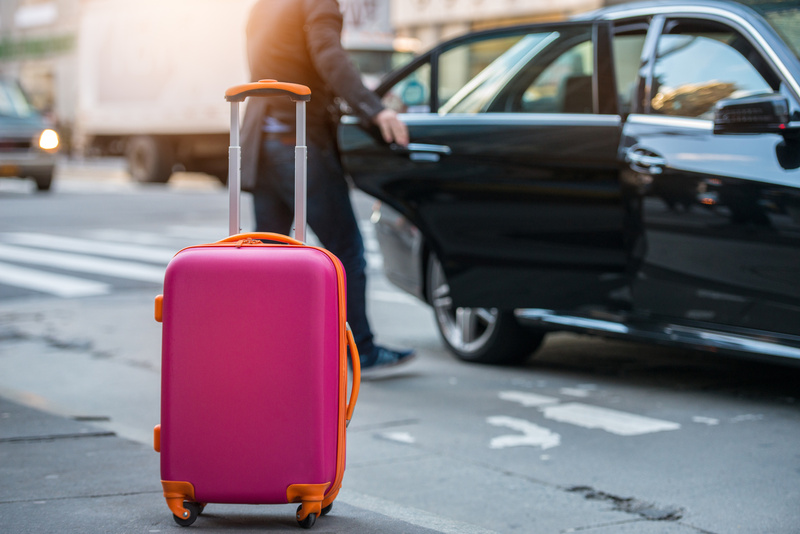 If you're new to rideshare driving and curious about finding rides at airports, it's a great idea to check the queue for 3-5 days to start to understand the trends at your local airport. How Long Are the Wait Times? Again, this depends on the time of day and a long ride could certainly pay off. The busiest times of days are the early mornings and late afternoons/evenings. A reasonable time frame to keep in mind would be 7 a.m. to 10 a.m. and 4 p.m. to 7 p.m.
During these hours, the wait time could be as long as 20 to 25 minutes. In most cases, you'll only have to wait about 10 to 15 minutes. It's a good idea to study the FIFO queue and the estimated wait times for a few days. This will allow you to get familiar with timeframes with the shortest wait times and most consistent flow of passenger pick up requests at airports. Every time a passenger requests a ride, their request goes into the FIFO queue. The car at the top of the line gets a request first. When that car picks up their passenger, the next request goes to the next car on the list. So if you're number 12 in the queue, you have to wait for 11 other cars to pick up passenger requests before you get one. You might have to find somewhere in the airport to wait for a passenger if the FIFO queue is long. Remember, the airport doesn't like dealing with congestion. Don't park your car anywhere you aren't supposed to park it. This means you should avoid places that have no parking signs, restricted lots, cell-phone lots, employee spots, or rental car spots. The airport also doesn't like driver who circle in and out of the arrival and departure terminals. Doing any of these things could make the airport remove you from the FIFO queue. If you have to wait inside the airport, find a place that's safe and legal for your rideshare car. The place you pick up a passenger also varies depending on the airport. Some airports let rideshare drivers pick up their passengers at the terminal curb. Others make drivers meet passengers in upper arrival areas. Several airports even have a transportation network company lot where passengers can find rideshare drivers. If your airport doesn't have any rules against this, you can wait for passengers in short-term parking lots. You might have to pick up a timed ticket for some short-term lots. Either way, you'll get all the necessary information you need through the passenger request. If you can pick them up at the terminal curb, you'll get the terminal number and the door number. If the airport has designated rideshare lots, they'll have clear signs leading to it. You have to know the regulations for your airport before you start driving. What Happens If Your Passenger Cancels? If the passenger cancels their request before you have time to pick them up, the FIFO queue will put you back at the top of the list. This ensures you still get a passenger without having to wait in line all over again. However, this doesn't happen if you cancel the fare yourself. When you withdraw a passenger request, the queue will put you at the bottom. Both Lyft and Uber might deactivate your access to the FIFO queue altogether, as you aren't allowed to cherry pick your passengers. Also, be conscientious when you're picking up your passenger. Park in the right spots, follow the attendant's instructions or wait in the queue up line. Ignoring safety measures to pick up your passenger can make the rest of the lot congested and result in a ticket or angry passenger. When you're working at an airport, the passenger will have to pay an additional airport usage fee for their ride. This fee is only a few dollars, and, as the driver, you don't have to pay it. Though the passenger pays this extra fee for their ride, it doesn't go to you. Instead, the cost goes straight to the airport. You don't have to pay this fee, and the charge doesn't get added into your pay. But it is something you should be aware of when you're working in airports. The most important part of working in an airport is knowing what your airport allows and doesn't allow. Remember, knowing the rules and regulations for your airport is your responsibility and vital to your success, efficiency and earnings. Sometimes these rules change, so ensure you sign up for email updates if your airport or rideshare platform provides them. Vehicle automation is bound to touch the lives of rideshare drivers. The question is, when? Rideshare drivers do not see autonomous vehicles or shared scooters/e-bikes as immediate threats, according to a SherpaShare survey. But they do see these emerging technologies as eventually displacing rideshare revenue, according to the study. 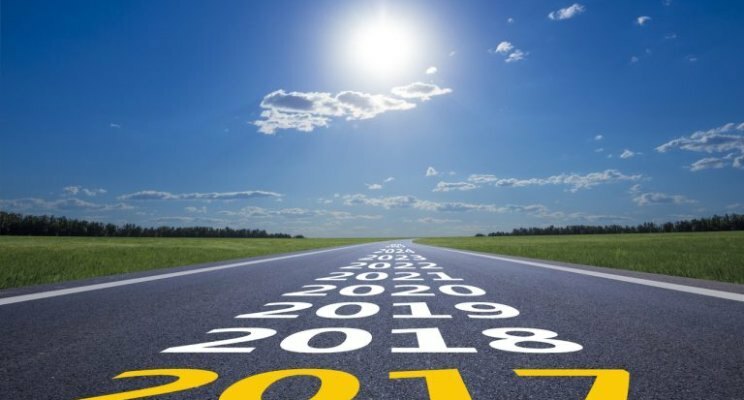 Almost two-thirds of drivers (65%) report they do not see autonomous cars impacting their business in the next several years. 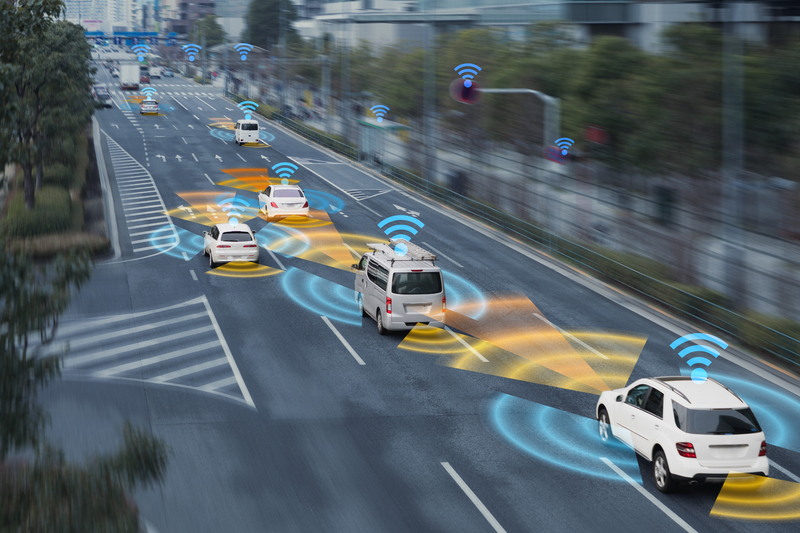 On the other hand, 16% believed autonomous vehicles do represent an imminent threat, and 19% said self-driving cars were not a threat at all. While just 9% of drivers reported that shared e-bikes and scooters were currently having a negative impact on rideshare demand, 28% of drivers reported it was an imminent threat. Sixty-three percent of drivers did not see these mobility methods as a threat. Others expressed skepticism that e-bikes and scooters could match the relative comfort of riding in a rideshare vehicle. A Tampa-based driver reported e-bikes and scooters were not a substantial threat in Florida. “Too hot!” he said. SherpaShare Monthly Survey, July 30, 2018. For more info please contact business@sherpashare.com. Health insurance might not be the first thing on a rideshare driver or independent contractor's mind, but it should be! Check out this ultimate guide to health insurance for rideshare drivers that'll help you choose the best option for you! You need health insurance, even if the riskiest thing you do is pick up drunk passengers. Car accidents happen, and your car insurance only covers so much. So, is there special health insurance for rideshare drivers or delivery pros? Yes and no. As the gig economy grows, so do the insurance options. Get a more detailed look at your healthcare options below. The number one question freelancers and independent contracts ask are if they need health insurance. The answer is always yes. Something as simple as a hospital visit for a broken arm can cost up to seven thousand dollars in medical bills. Do you have that stashed away? Probably not. Here are some other frequently asked questions regarding health insurance. Does the Affordable Care Act Cover 1099 Workers? Yes. Obamacare or the ACA passed changes in 2014 that made insurance more accessible. Two ACA elements that help independent contractors are 1) the tax subsidy and 2) a sliding scale cost of insurance. Depending on your income and tax bracket, you could pay under $50 a month for coverage. It depends on the Federal Poverty Line or FPL. If you make under this amount (around $45,000 for one person), you're entitled to lower insurance costs. There are some hoops you have to jump through to prove this, but it's well worth not spending $7,000 for a broken arm. Who Offers Individual Insurance Plans? Almost all insurance providers offer individual health plans, but the rates can be astronomical and vary widely depending on the insurance company. Some providers charge higher fees and copays than others. SherpaShare has partnered with eHealth a one-stop marketplace for affordable short and long-term health insurance. Many plans are available for enrollment throughout the year and eHealth offers personalized tools and support from real insurance agents over the phone (during business hours) or 24/7 via chat. In just a few clicks, eHealth can help you cover expenses in the case of medical emergencies! eHealth also provides a full range of Obamacare (ACA) plans. Can I Buy Short-Term Health Insurance Now? Yes, you sure can. eHealth offers a wide range of short-term options that individuals can sign up for immediately. These plans typically feature substantially lower costs than Obamacare, and are designed to serve as protection against high out of pocket costs due to an unexpected injury or hospitalization. They frequently provide more limited coverage than Obamacare plans, and insurers have wide latitude in determining eligibility for specific short-term plans. Individuals can also sign up for ACA plans through eHealth. In most states the Open Enrollment period for ACA will start November 1, 2018 and end December 15, 2018--this is the easiest time to buy. If you qualify for Medicaid or the CHIP (Children's Health Insurance Program) applications are always open. Outside of the Open Enrollment period, you can qualify for Special Enrollment. There are certain life events that qualify you to apply. Some of those include losing your job-related coverage, marriage, or having a child. Divorce, release from prison, new citizens and the death of a coverage holding family member are also qualifying factors. For the complete list of qualifying factors as well as a quiz to see if you qualify, check the Government's site. SherpaShare’s partner eHealth offers a full range of ACA plans, as well as short-term options. Click here to learn more about eHeatlh plans or contact SherpaShare directly. Can I Write off Insurance Costs? If you don't have an employer-subsidized health plan, yes you can write off health insurance as a tax deduction - in general. 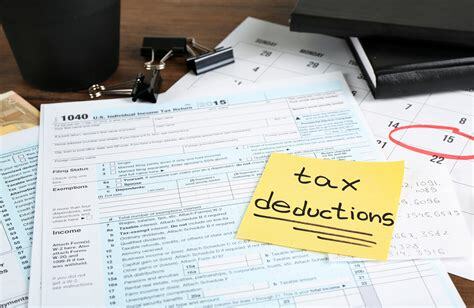 Tax laws are complicated and other requirements apply. Let's say that your spouse works for a company that provides health insurance. As their legal spouse, you can apply for the same coverage. You have to pay more than they do, usually, since you're not contributing to the company. However, this is a good way to get around open enrollment and special enrollment periods. The insurance that their company offers is usually through one company, so you don't have much choice with rates. Do your research before you sign up for health coverage under your spouse to see if getting an individual policy is cheaper. Will Gig-Economy Companies Ever Provide Insurance? We don't quite know. The gig economy (jobs you can clock in to as independent contractors) are still growing. The government and tax regulation haven't quite caught up with all the details. You'd know this if you got a call from your car insurance provider in your first year. As of right now, the government can't force UBER, Lyft or other related companies to give you health benefits. When you signed up, you consented to be an independent contractor. That essentially means once they pay you, their legal duties are over. Some experts think this will change in the future and others don't. It's contingent on the way the 2018 and 2020 elections go. Until then, make sure you have health insurance coverage. It costs the general public and you more if you don't. 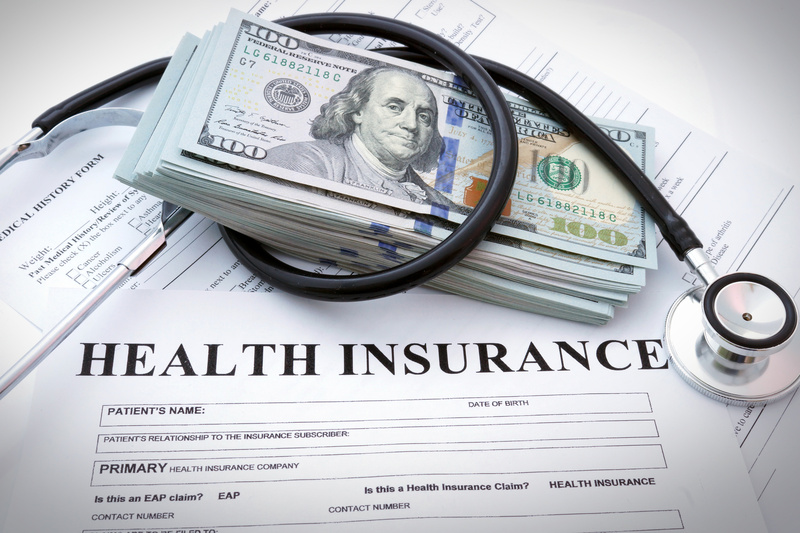 When you look into health insurance plans, there are different names and different charges. You'll pay a monthly premium (like any other insurance) and sometimes have additional co-pays. Your monthly premium is your insurance cost per month. The Co-pay is whatever's left over from a medical charge that your insurance doesn't pay. For example, you could make a general doctor's appointment and owe them $45 (ex.) on site. In some health insurance cases, you can send this bill to your provider, and they'll reimburse you. It depends on the level of coverage you purchase. The idea of health insurance is to have low co-pays. Instead of an ER visit for a broken arm costing you thousands, you may pay around $100 as a coverall copay. *The numbers quoted above are examples only and do not denote averages. You can visit the SherpaShare & eHealth one-stop marketplace to enroll in short-term and ACA plans. Whether you need health insurance for yourself, your business, or your family, eHealth has a wide range of choices. Compare plans and premiums in just a few clicks. You can even find which health plans in your area cover your prescriptions, and how much they cost. Additionally, licensed insurance agents are just a phone call away during business hours, and you can ask questions by "chat" 24/7. Wherever you get insurance from, do it soon. Without health insurance, you could be fined or worse, end up with a substantial medical bill. Do you have a health insurance provider you like or other tips about health as an independent contractor? Tell us in the comments below. Can Rideshare Make Cities Greener? Rideshare cars are much ‘greener’ than U.S. cars in general according to a SherpaShare analysis, lending credence to the theory that ridesharing can help reduce overall emissions in major cities. 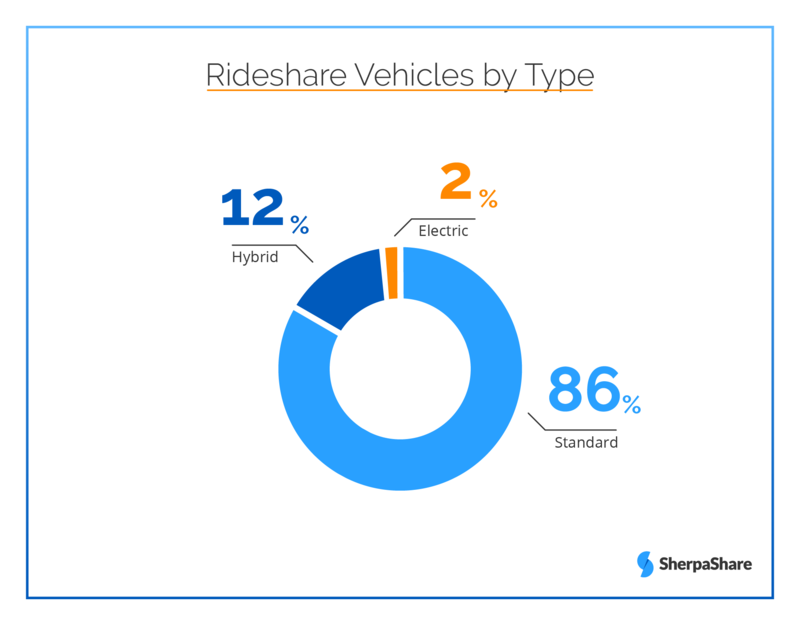 Over 12% of SherpaShare rideshare drivers reported they drove hybrid vehicles, and an additional 2% said they drove fully electric vehicles (EVs). The 14% of rideshare vehicles that are ‘green’ (i.e., hybrids or EVs) compares favorably with U.S. cars as a whole. 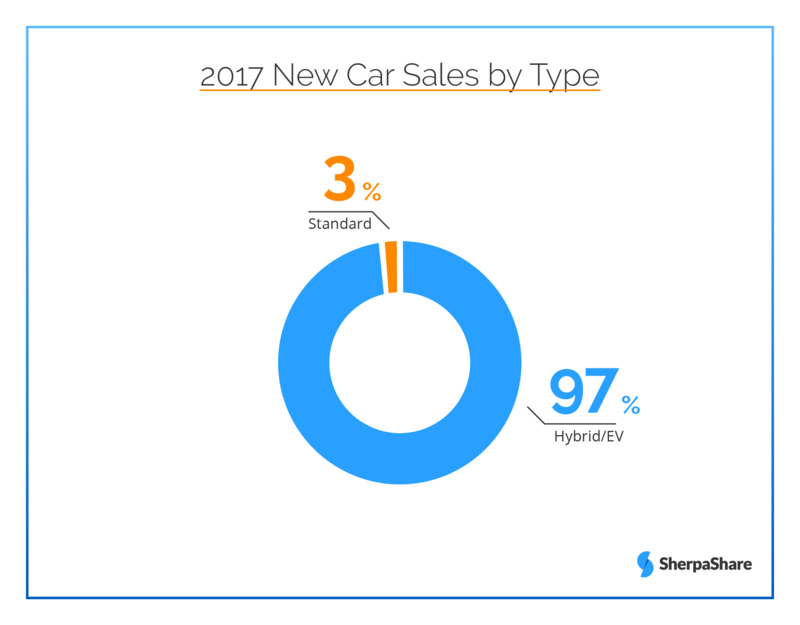 For example, only 3.2% of new vehicles sold in 2017 were ‘green’ vehicles, up from 2.9% in 2016. The average rideshare vehicle was less than four years old according to the analysis. The average age of a U.S. car on the road is 11.6 years according to IHS. The Toyota Prius was the most popular ‘green’ vehicle driven by rideshare drivers, followed by the Chevy Volt. Uber recently launched a yearlong program in which it provides financial incentives to drivers in Austin, Los Angeles, Montreal, San Diego, Sacramento, San Francisco, and Seattle to switch to electric vehicles. Lyft reported the company would provide at least 1 billion rides per year by 2025 using autonomous electric vehicles. 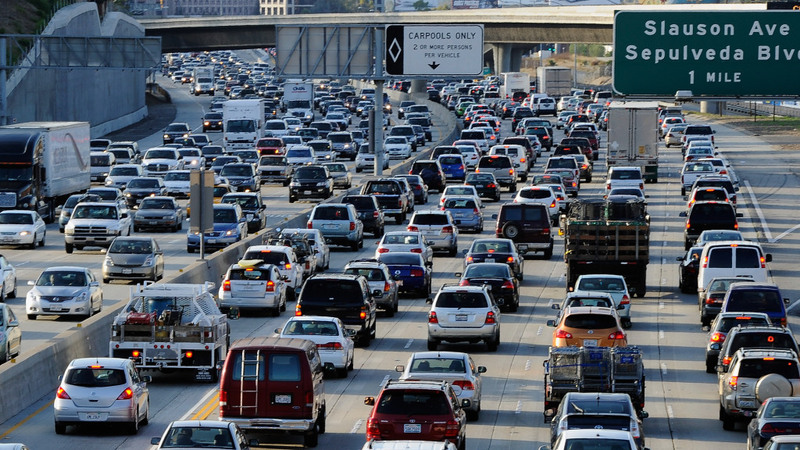 According to some studies, ridesharing has made traffic worse in some major cities. However, if technology giants like Uber and Lyft can work with local governments to reduce congestion and foster greener and cheaper transportation options through their electric car and carpool initiatives, cities may be on their way to solving environmentally friendly and efficient mobility.